If you've turned on QVC this morning, you're probably aware that the Today's Special Value (TSV) is from Tarte today! It's a 6-piece collection called "Journey to Natural" and costs $59.94. Click here to check it out on QVC's website. As you can see, it also comes with a cute little pouch that I've shown folded over-- could work as a makeup bag or an actual purse. If you're not familiar with TSV's on QVC, assuming the set doesn't sell out, the price will go up after today. Tarte sent me this set to review for you, and as usual, I did not accept any payment for this review. Along with the foundation, the Amazonian Clay 12-hour blush in Fearless is my other standout product in this kit. I feel like my eyes must have built-in glitter detectors, because when I opened the blush, the first thing I saw was the gold-toned sparkle that this blush contains. However it's definitely more subtle than a couple of the other Tarte blushes I have. And when applied on the face, I can confirm that it really gives just a subtle glow to the cheeks- not major glitter. What I really love is the pink color-- it's incredibly fresh and falls in line with the nice pigmentation that Tarte's blushes are known to have-- as well as great staying power. This will be a blush that I reach for often! Next up: the brand new Lights, Camera, Flashes Statement Mascara. This is the first rubber-bristle brush from Tarte that I've tried (maybe it's the first they've made? not sure on that). It has similar packaging to Lights, Camera, Lashes - only it's metallic gold. The brush has some rather long, stiff bristles, and between every row of long bristles is two rows of short ones. The end is basically blunt, but if you really clean off the tip you can notice some extremely short bristles. The formula seems to be a bit more wet than Lights, Camera, Lashes and the Amazonian Clay Gifted mascaras. As a huge fan of both of those mascaras for their amazing volume and separation... I wasn't so thrilled with this mascara. I felt like it gave me nice length, but the brush was so loaded with product, I couldn't get the separation I'm accustomed to with Tarte's other thick-brush mascaras. Perhaps as I use up more of the product and it dries out a bit, I'll like it more (we all know that happens sometimes with mascaras!) But right now, I'm not loving it for the fact that it makes me look like I have fewer lashes than I really have. Keep in mind mascaras are one of those products that seem to work differently for everyone! And this didn't seem to smudge or flake off. Another brand new product from Tarte is in this kit- it's the Brow Archnitect Shaper, Liner, and Definer. It's a unique 3 in 1 tool that comes with a "universal pencil" (something I'm always a bit skeptical of), an "underscoring concealer" (used to hide strays and basically clean up the surrounding area), and a brush to get brows in place. The pencil part is retractable and is cut at an angle (reminiscent of IT Cosmetics universal Brow Power pencil). The light powder product is sort of "spring loaded" so as you use more of the product, it'll always come up to meet the tip as you screw it in (hard to explain, sorry!) All in all, you end up with 3 functions in a pencil that's no bigger than a typical eyeliner. 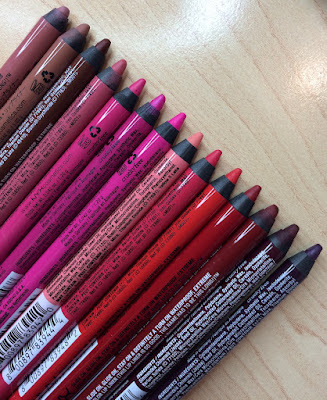 Typically these "universal" brow pencil are marketed with the logic that the amount of pressure you apply can customize the color you get. With my three swatches, I applied more pressure with each one. Being a dark brunette, I need to apply more pressure to get the color I need, which is not necessarily something I like to do on my brows (I like to be able to make feathery light, hairlike strokes). I feel like I was able to get a natural look on my brows, but granted, I don't have a lot of areas that need filling in. I'm really curious how this pencil would work on a dark brunette who needed to basically re-create an eyebrow. As for the powder- this DOES come in specific shades: fair-light, medium-tan, and deep. I believe it depends on your foundation choice. I have medium foundation, so I have the medium-tan toned powder. As you can see from the swatch above, it's a little dark & peachy for my skintone. It does seem to cover strays, but it's just not the best color for me. I ended up using that feature for this look, but really, really sheered it out so it would be wearable. The final product is the new Amazonian Butter lipstick. The shade is plummy rose, and I absolutely love the way it looks and feels. This is my kind of color! I also like that it has a bit of shine. The packaging is really lightweight- seems like cardboard. It goes on so creamy and feels as comfortable as a lip balm. I'm not wild about the scent... it's like there's a hint of mint, but it's a little different from that. Can't quite put my finger on it, but it's nothing super objectionable and I'll definitely keep using it. Bottom Line: I've always been an advocate of these Today's Special Value kits on QVC because you have the opportunity to try a lot of products at really good price. The whole kit is valued at more than $165- and you're getting it for around $60. I think kits like this are worth getting if the majority of the products in them are interesting to you. My favorite things are the foundation, blush, and lip butter. I really think those products would be universally enjoyable for all who might try this kit (and that's impressive, because few foundations seem to work well for multiple skin types!) The mascara and brow products aren't total fails by any means, but I just wasn't thrilled with how they worked on me. I may come to enjoy the mascara as it ages a bit. As always, these are just my opinions and experiences, but I hope this post is helpful to you if you're considering this purchase! :) Thanks for reading! The tornado sirens are going off as I type... thank goodness it's just a test! Hope you got a chance to see my "Ask Emily" video- posted yesterday! I had a very painful toe-stub last night, but it's all patched up with an Angry Birds Band Aid. I love the fun Band Aids!! I really love the Tarte lipstick but I've got to say, you're such a natural beauty! It seems like you have perfect skin (and eyebrows!). Toss the cheese dip with a bit of milk to thin it, then use as a sauce with pasta, diced or shredded cooked chicken, diced green bell pepper, and a handful of chopped mushrooms! Bake at 350 until bubbly & heated through, and you have a pasta bake for dinner! Agreed! Gorgeous WITH great eyebrows! Totally jealous, as mine have much to be desired! Keep up the fabulous work, definitely an inspiration in the beauty world! I agree about the brow pencil-I have black hair and keep trying to love it, because I love the other items, but it just doesnt work for me. Another great review! I got this set early too. The mascara smudges on me. :-( I also wasn't thrilled with the brow highlight. It looks really cakey on me. I love the lipstick though, and I'm not a lipstick person. I have maybe 3 lipsticks in my collection. I love that blush color! It really caught my eye! I think that I'm going to pass on this kit. I am not a big fan of wet mascaras and I don't think the brow product will work for me, but I think that the blush and lipstick are so gorgeous! I Like some of Tarte's products especially their blushes (powder and cream) I would like to try the foundation. Dilemma of a cosmetic junky is the task of shopping our stash. I don't want to buy another 'kit', but I may look into the lipstick. You could use the queso as a soup base for a zesty potato soup :) I do that a lot with my leftover cheese dip. Those QVC kits always look so fun, but I've yet to check one out. I'm afraid of commitment hahaha. I bought this today. I'm excited to try the foundation and the blush. I'm NW45 I'm hoping it works well with my skin tone. I love this kit. The eyebrow Architect works well for me except for the powder. I too have the medium and the powder is way too dark for a highlight. It was my first time to purchase the Amazonian clay foundation and I love it! The lipstick and blush are beautiful, as well! You can freeze the dip in individual portions. I do. It ALL the time. Just add a touch if milk when reheating to thin it out. Thank you SO much for reviewing this kit. I was really on the fence and you have helped me AGAIN. Thanks for all that you give. Thanks so much for the review. I just ordered this in Fair. I wear Fairly Light in Bare Minerals Ready foundation and the lightest ivory in most foundations I have tried. So I hope this one will work for me. Your reviews are always helpful. You consider all the details and I like that! I wanted to try the foundation and this seemed a great price to get some other nice Tarte products. I love Lipsurgence. emily, i really appreciate you not pushing this product too much on us and giving your readers and viewers an honest review. I have watched some videos today from some gurus who seemed like thay hadnt even tried the products out too much and were just being salespeople, not giving their honest opinions. I love that i can always look to you to give me a real, trustworthy review!! Get two boxes Delimex 36 count chicken or beef taquitos from the freezer section. Layer one box on bottom of 9x13, pour half your queso on it, top with next box, put the rest of your queso on it and bake for 30 mims or until heated all the way through. I got this kit as well. It is worth it just for the blush, but I also like the foundation (which I already had some of) and the lipstick. I haven't tried the mascara yet, because I have too many already open. Not a fan of the eyebrow pencil, much prefer my Benefit Brow-zings kit. You could make burrito melts with your extra queso dip. Yumm-o!! Ha, I wonder how many people were at your Super Bowl party. I made the Velveeta Rotel dip (plus I mixed in TGIFridays spinach dip) for just my parents and 2 brothers on New Year's Eve and it was gone in no time! My brothers are bottomless pits. I didn't see this post until today, but I ordered the TSV and haven't received it yet. I hope I got the right foundation color. I use light in the Maracuja Miracle foundation so I got light in this. I've tried a sample of light from Sephora before and I think it matches pretty well. I have been wanting to buy the Amazonian Clay foundation, as well as a Tarte blush, for a long time. So those 2 products definitely made the kit worth it for me! Thanks I was curious about that new mascara. I would have gotten this if I had the budget for it. Its a great value. Ive been lusting after that foundation which is expensive on its own. I get samples of it from sephora when I can. My fave part of this look is actually the eyeshadow. I love its wet n wild. I would love to see the palette and how you got that look. sorry I took so long to comment on this....ok...the weird thing in the lipstick scent? I swear it's a combination of mint plus the faintest hint of SMOKE...as in cigarette smoke. LOL...at least that's what I keep picking up from it. Love the color & formula though. I know it's been a while since you did your original post but I think I get what you meant on the lipstick scent. I SWEAR I'm picking up mint and the faintest hint of cigarette smoke. lol...but I'm really happy with the color & formula & continue to wear it anyway. This is another biggest with very useful guidelines about web page on beautybroadcast.net.It is a highly effective web page for the area of person.This web page maintaining play a role significantly.Truly I like this web page. I am expecting to choose up more running a blog perform, too! I like to evaluation my The electronic cigarette has been in existence for almost three years and is a clever device aimed at providing smokers with a healthier option. Apparently also useful in helping to reduce and indeed quit smoking altogether. Are looking Best electronic cigarette, V2 cigs coupon & Green smoke coupon? 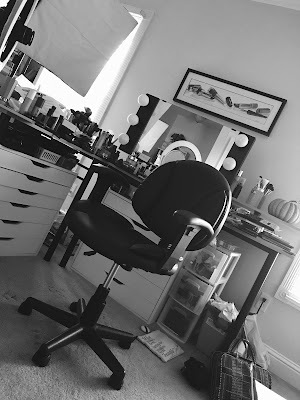 Excellent article on beautybroadcast.net.This site very nice that is various types product of beauty.Actually,I glad for this site. I know a few people who prefer freelance blogging to more traditional freelance writing jobs. It’s nice to hear one feedback and tips from someone who’s doing it.As,I want to know How would I begin to describe South beach smoke coupon and their New & Improved Electronic Cigarette? Well one word comes to mind…WOW! South Beach Smoke is giving other e-cig companies a BIG run for their money. When you’re in the market for an e-cig one thing you must keep in mind is… You get what you pay for! Your publishing on beautybroadcast.net.It is a power full site for us.Now a days it site has become vary popular & demanded site for all of us.So I like it. I think not new because there are a lot of individuals have already publish it or study it, but its okay. Please observe this , in your publish there are few terms that you not modify with properly after you used Search engines convert for convert it from your mom terminology into British.As I want to share How does V2 Cigs compare to other electronic cigarettes? Read the full review and Vapor Judge will grant you a 10% discount on your next V2 cigs coupon order! Today i am feeling very happy. Because today i receive a very famous blog. Your blog is really very famous blog. You share more valuable data in your blog. Now i read your whole content carefully. Your work is very good. Do you know why www.topbritishessays.com is very famous at present. They are very famous because of great on line service. Now they are providing 24hours on line service. For details please visit this website. I really enjoyed your blog post. I got many idea for my blog awriter.org/rushessaycom from your nice blog post. Thanks for sharing information. Such a interesting Offer to buy all daily uses beauty product in combo with a carry bag. I never miss the chance and buy this product in cheap price. For Students Get help from law experts in Singapore at reasonable price.